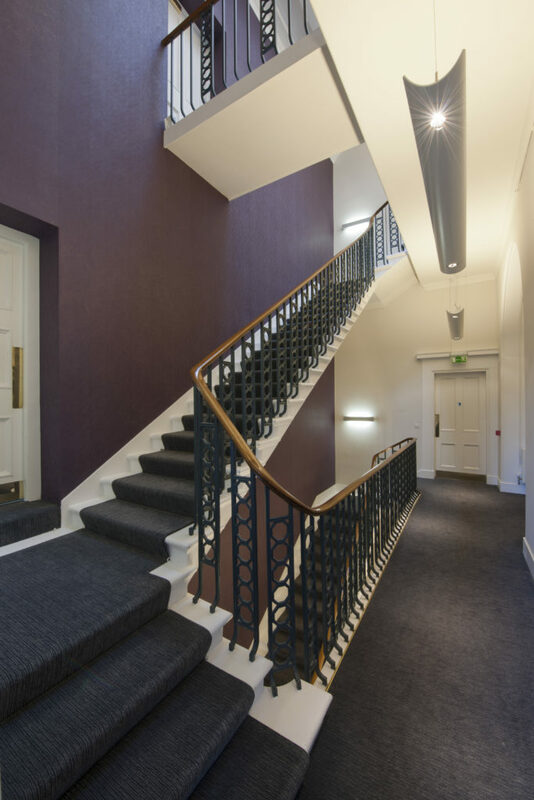 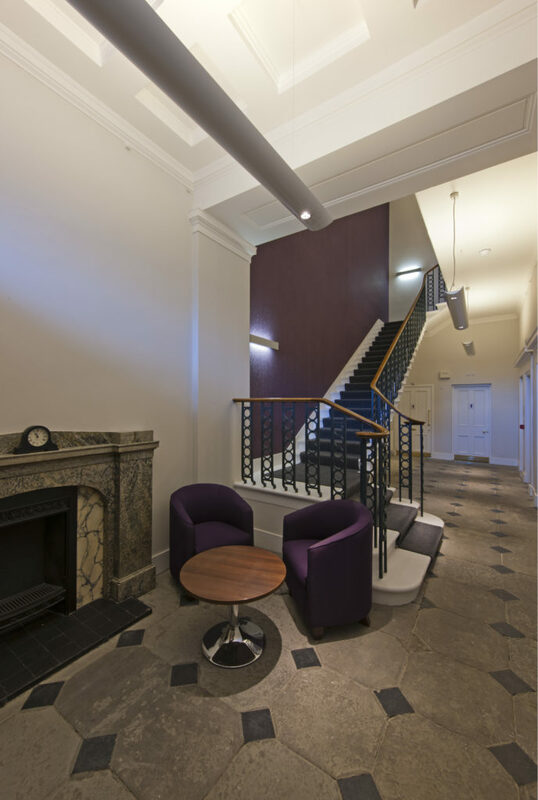 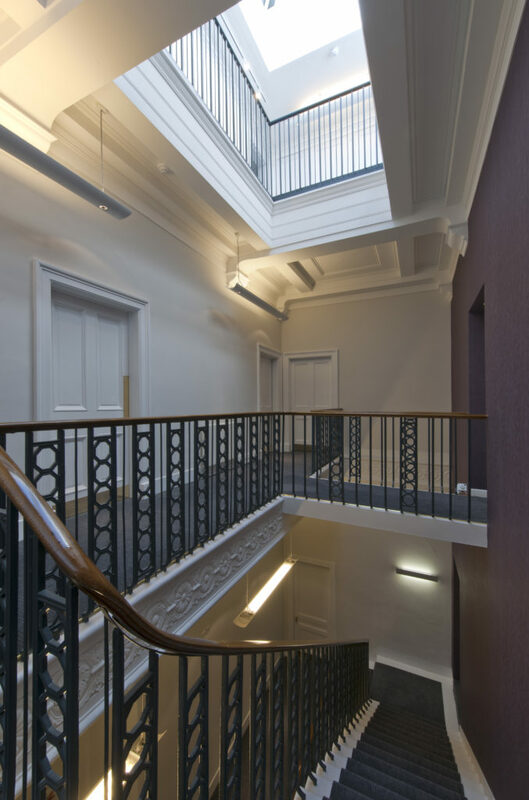 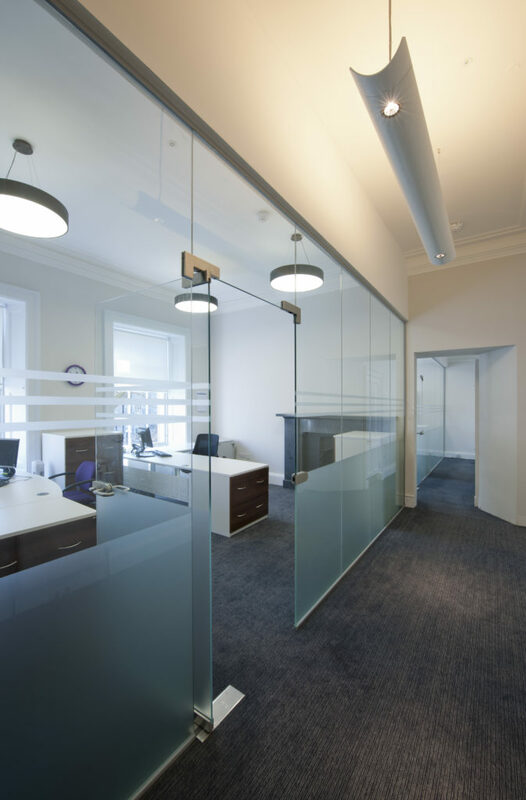 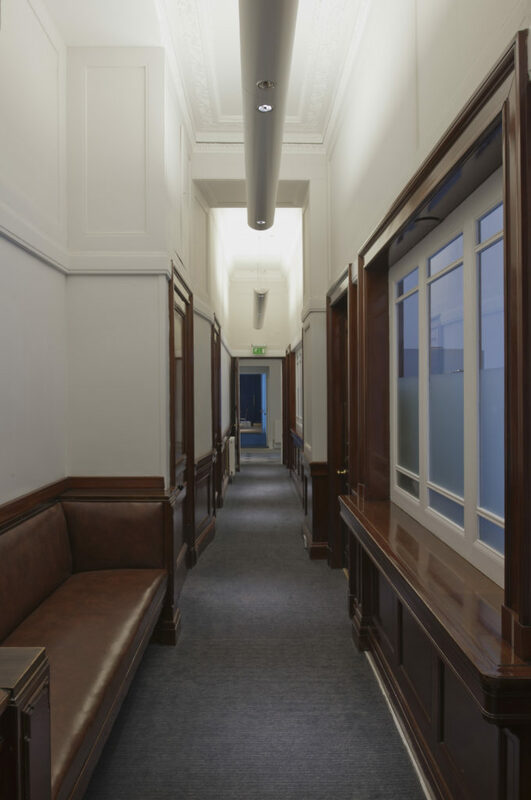 We carried out extensive calculations and design work in order to put together a lighting scheme which worked technically for the office environment but was sympathetic to the Architectural merits of the building. 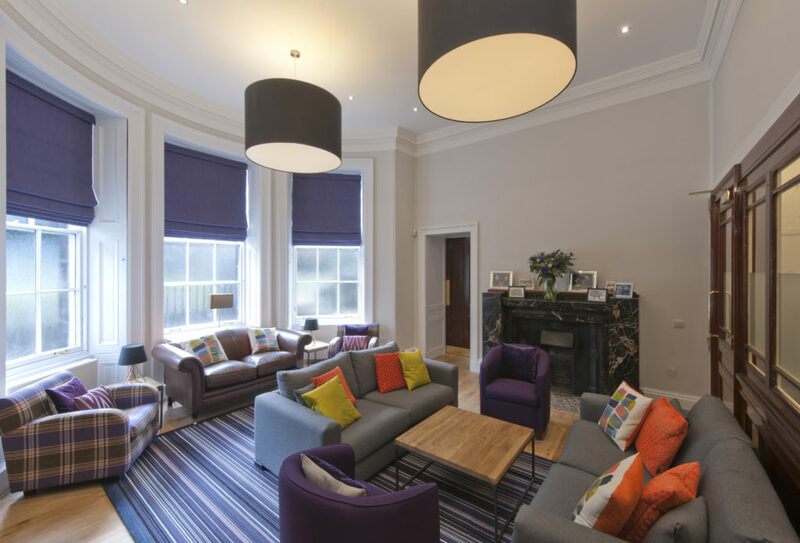 The lounge area came with a different brief entirely. 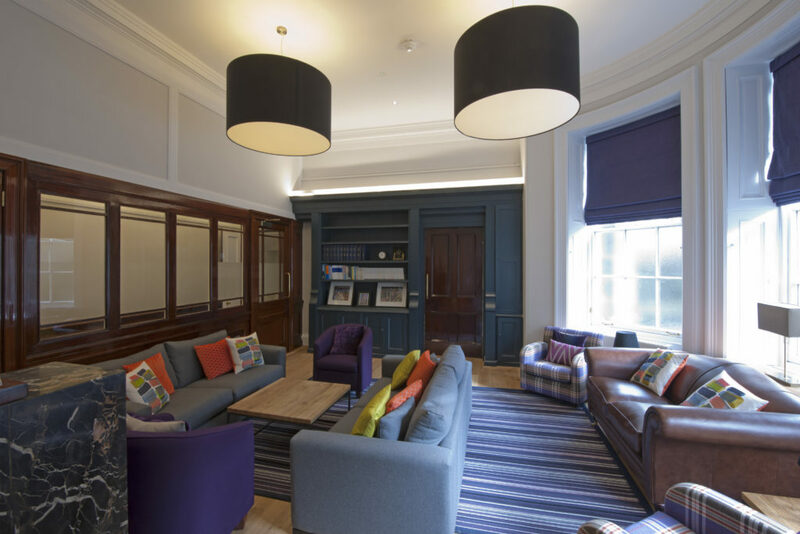 The aim was to provide a calm relaxing experience for casual meetings and socialising.